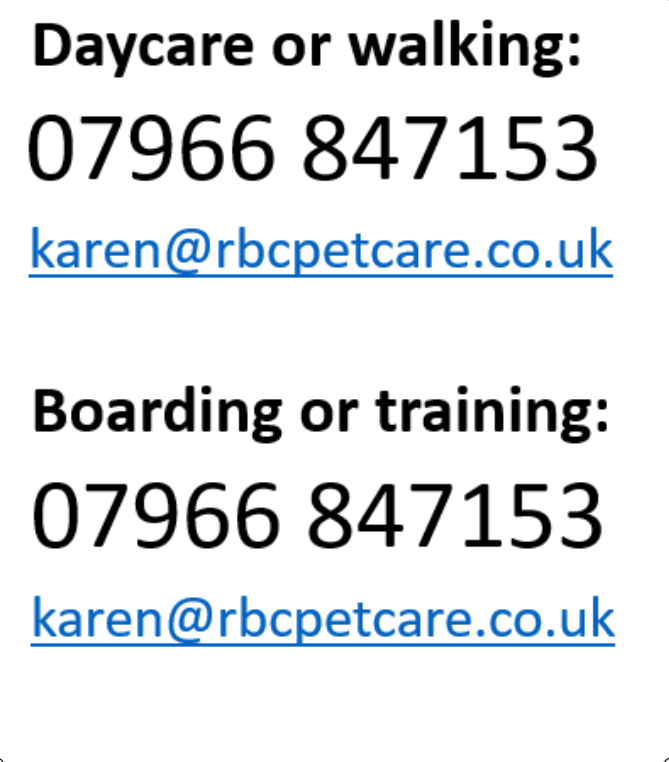 RBC Pet Care offers flexible and personalised solutions to customers living in Banbury and the surrounding villages. We aim to provide you with a flexible 7 day a week service. Our dogs are walked at safe locations away from traffic and livestock. We are licensed and insured to walk small groups of dogs, and (with owners permission) we make sure they have a lively off-lead walk so they can run and play with their friends. Manners when getting in and out of the vehicle are important for safety. Control on walks is essential, so we teach all our dogs to come to voice commands and/or the whistle and to sit for a treat when out on the walk. While teaching the recall we may walk your dog on a “long-line” until we are confident they will come back when called. The line is long enough to allow them to run with their friends. 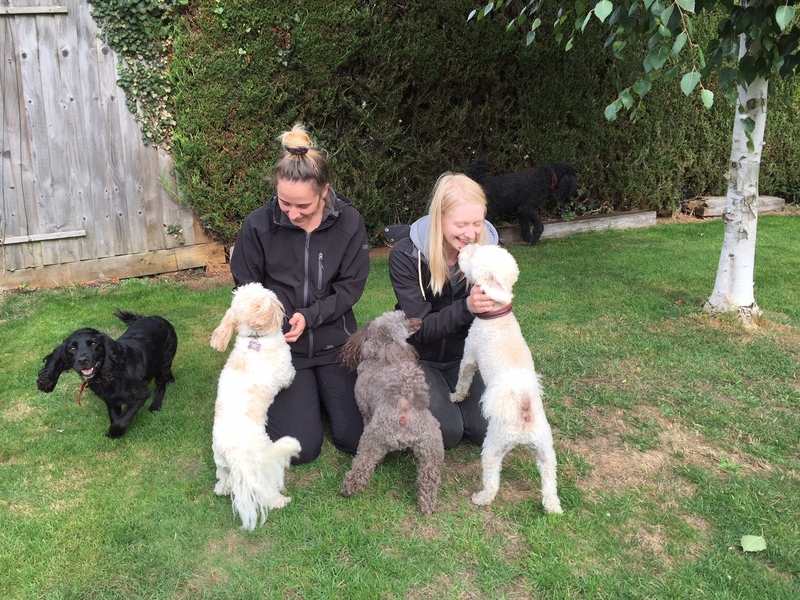 We offer an alternative to leaving your dog in kennels when you go away; our knowledgeable, caring and experienced handlers will care for your dogs based in the licensed large, comfortable four-bedroomed house. Your dog/s will have a fabulous time, making new friends, seeing new places and having lots of exercise, they will have their own holiday while you are away. 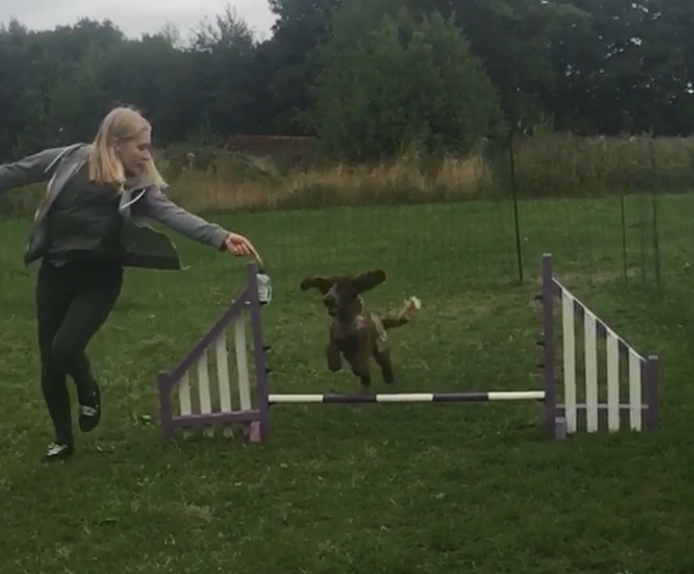 Also if you face a long day at work and are worried about getting back on time, or if your dog is destructive if left for long periods, why not try our Day Care service? 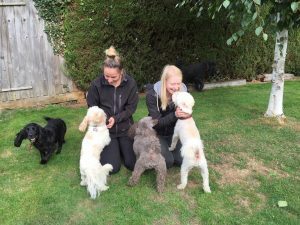 We will collect your dog and make sure they have walks and company while you are away, returning them home again at the agreed time. Mid Afternoon: Play/Socialisation – Participating in activities within a group or individually depending on fitness and age eg Agility, Ball, Search & Find, Scent work, toys We have access to a secure rented field. Toileting, followed by Afternoon meal at 4.15pm with collection or drop off from 4.30pm onwards for our daycare dogs. We offer a home visit service so you don’t need to worry about your pet being fed or cleaned while you are out. This is especially useful for young puppies when you are out at meetings, or cats while you are away on holiday. 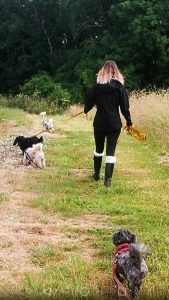 Karen is a Scentwork UK approved trainer and judge. Beginner courses start at regular intervals throughout the year and are advertised via the company Facebook page.